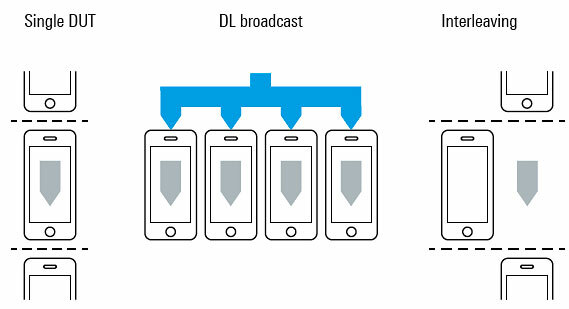 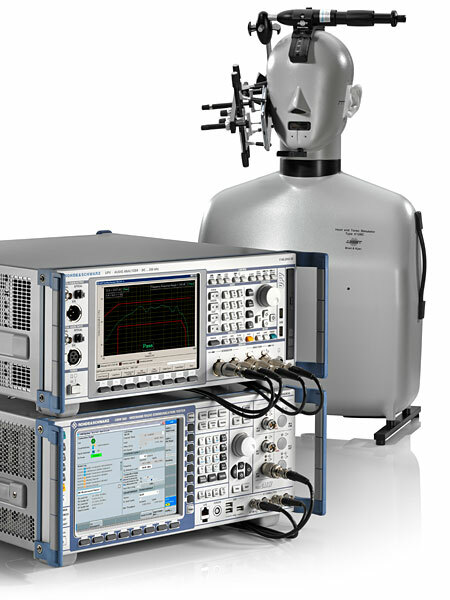 Multi-evaluation allows simultaneous evaluation of a variety of signal parameters, such as transmitter output power, as well as spectrum measurements and modulation accuracy measurements. 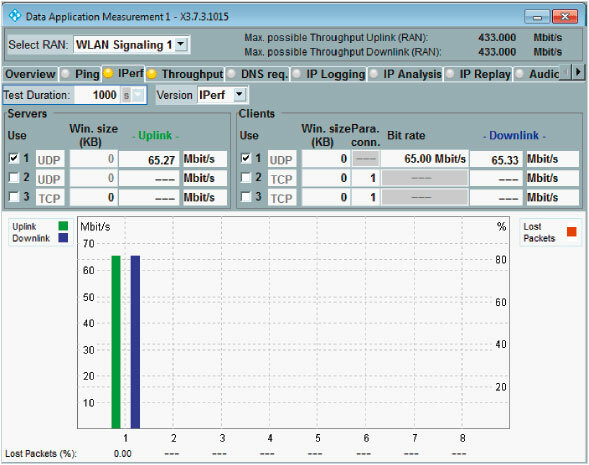 The packet error ratio (PER) is the number of incorrectly received data packets divided by the total number of transmitted packets. 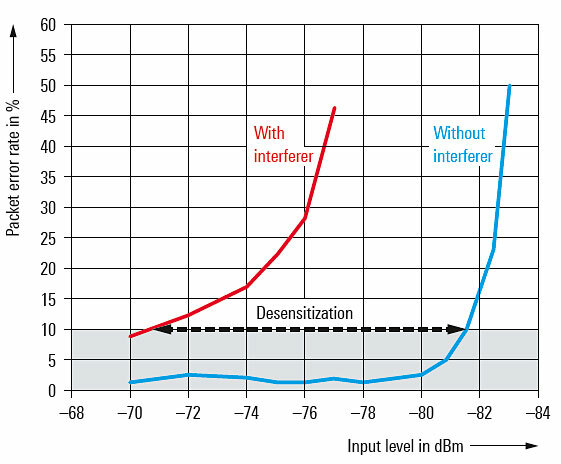 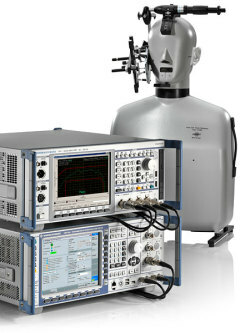 The PER is used to determine receiver sensitivity. 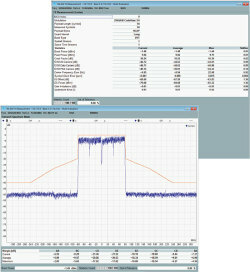 Power consumption monitoring solution with R&S®CMWrun based on the R&S®CMW500 and the R&S®RT-ZVC04 multi-channel power probe. 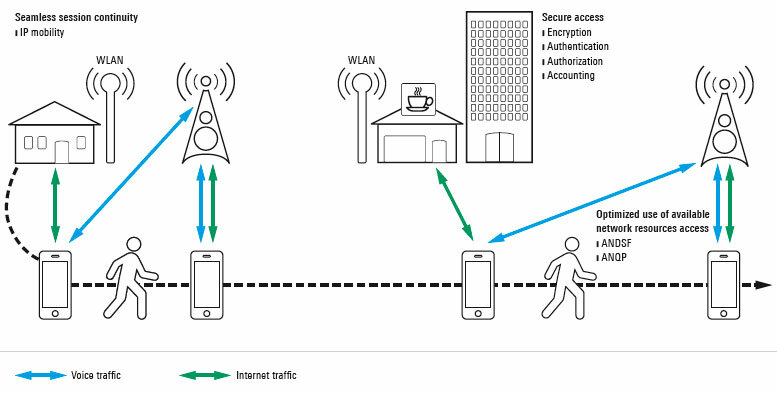 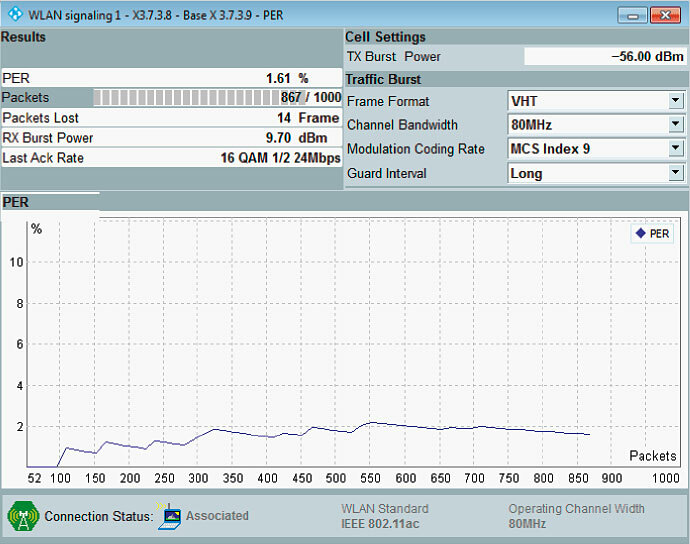 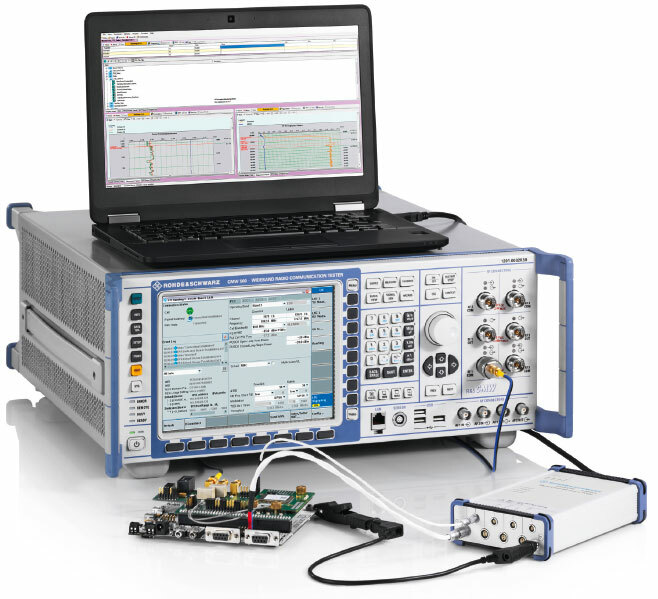 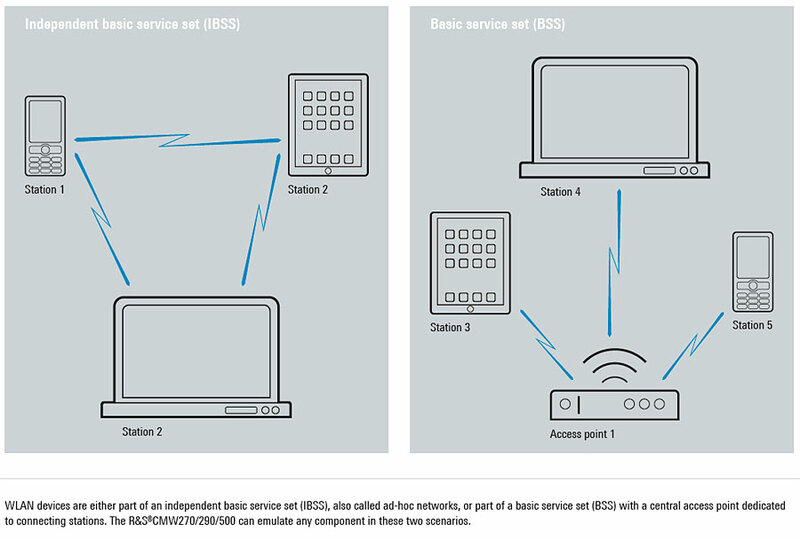 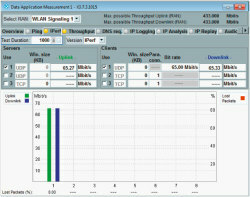 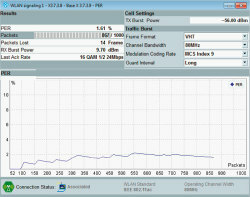 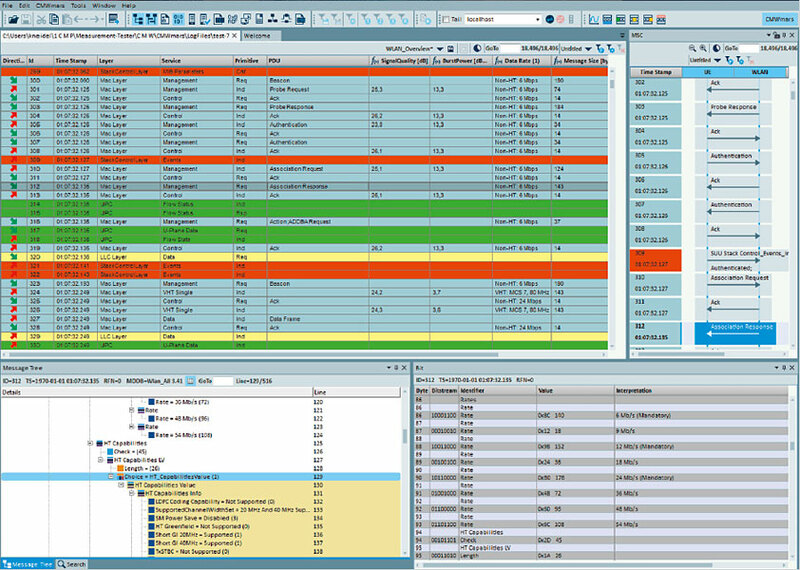 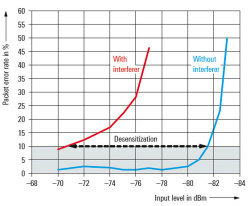 Unidirectional and bidirectional data throughput measurements based on the iPerf network testing tool. 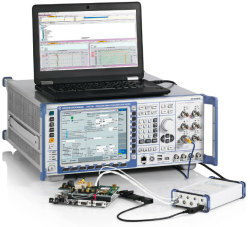 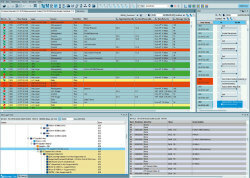 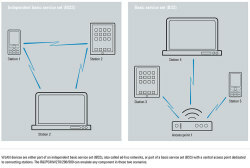 Audio analysis using the R&S®CMW500 in combination with the R&S®UPV audio analyzer. 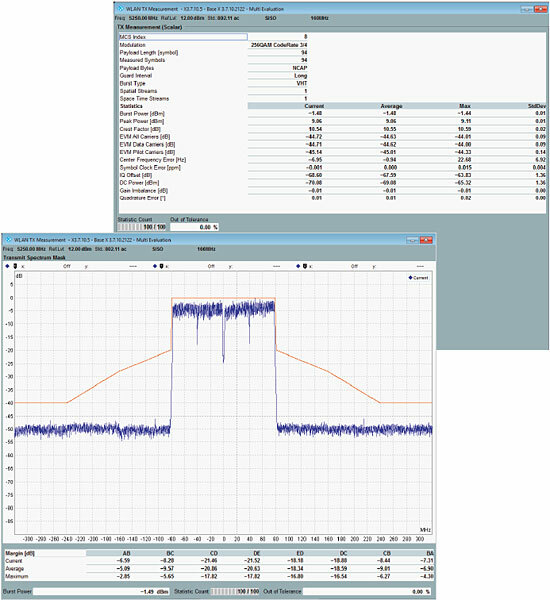 Various views from different perspectives of all protocol stack layers of a recorded message logfile. 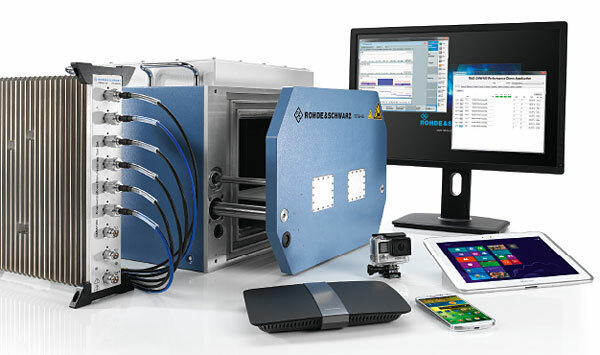 The R&S®CMW100 together with the R&S®TS7124 RF shielded box for device testing.